This fascinating book has been written by an old comrade of ours from the 1980s who introduced us too much about the animal rights movement and its close parallels to much of the left. Kim was born in rural Surrey and claims he first became aware of animal issues watching a local eccentric called “Camberley Kate” walk a pack of dogs into the town centre to raise money for their upkeep. All these dogs had been rescued in one way or another, and that set him off thinking about just how cruel human beings are to our fellow mammals. Later, Kim moved to London, where he became embroiled in the struggle over the British Union Against Vivisection [British Union for the Abolition of Vivisection is now known as Cruelty-Free International] — a body that closely resembled whole sections of the Labour Party in that it was years behind the times and run by stuffy and reactionary people who may have meant well but were actually a block on the organisation. This is where we met Kim around 1981, and we supported his group winning control of the BUAV after the usual hiccups involved in any factional struggle. 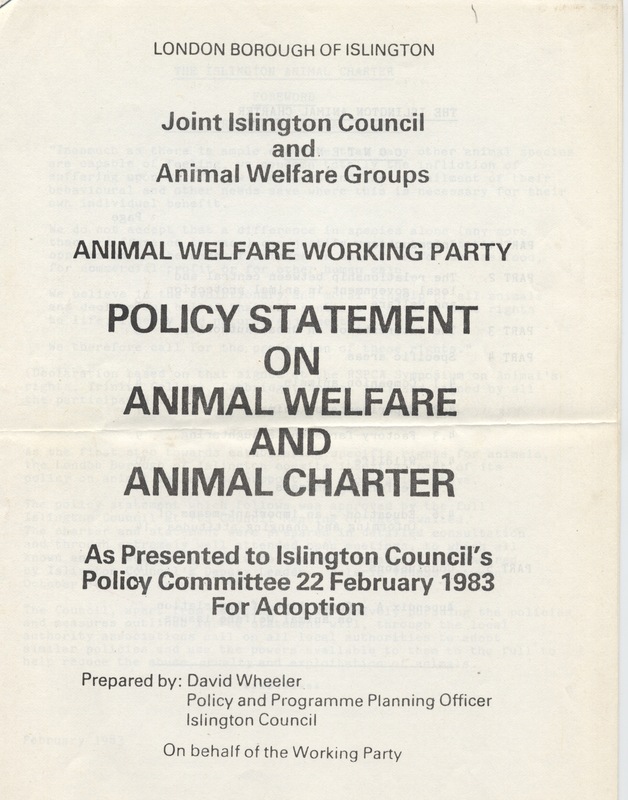 Kim went on to work on organising BUAV’s Animal Charter. 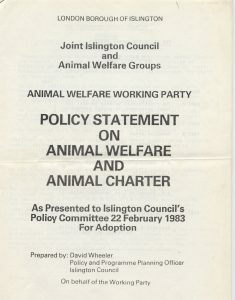 One early convert was Cllr Val Veness (my wife), Deputy Leader of Islington Council, which adopted the Charter in 1982/3. The Council replaced its policy for poisoning feral cats into of “spaying or neutering and returning to site” at the same cost. The organisation set up to do this still exists today. Kim later went on to work in the USE for People for the Ethical Treatment of Animals (PETA), where he later became concerned at their use of naked women in promotional activities. From the harmless supermodel ads saying “I would rather go naked than wear fur”, it descended into a fairly gratuitous use of pictures. It also adopted the policy of giving donated furs to the homeless — with all the ethical issues that raises! Kim returned to the UK and now lives in Hastings. His book raises many issues for everyone on the left: how inspired and committed individuals run organisations as “personal fiefdoms”; how they never know when it’s time to move on; how any reasonable opposition is perceived as treachery; how it’s reasonable to pay low wages and treat staff abysmally because it’s in a good cause, etc. Kim himself changed from being an animal rights activist with few personal feelings for any creature or human into someone now who appreciates companion animals and has real empathy with them. Do read this book — some of its questions raised are disturbing, but they are things that any socialist needs to answer. Click here to learn more about Labour Briefing Cooperative, which published this review in its October 2016 issue.